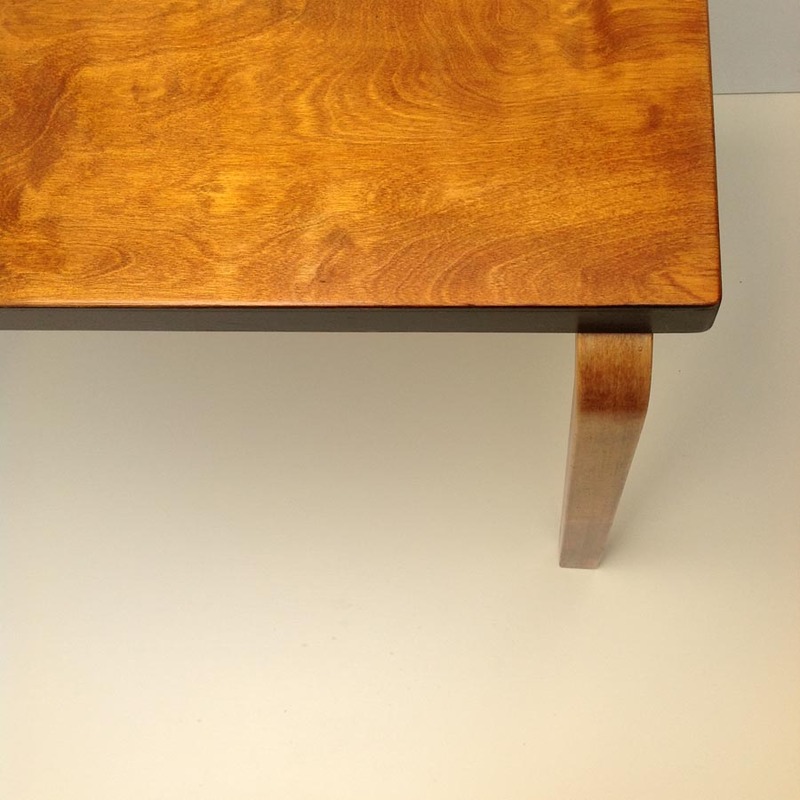 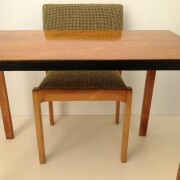 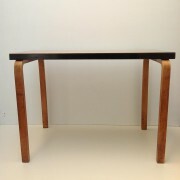 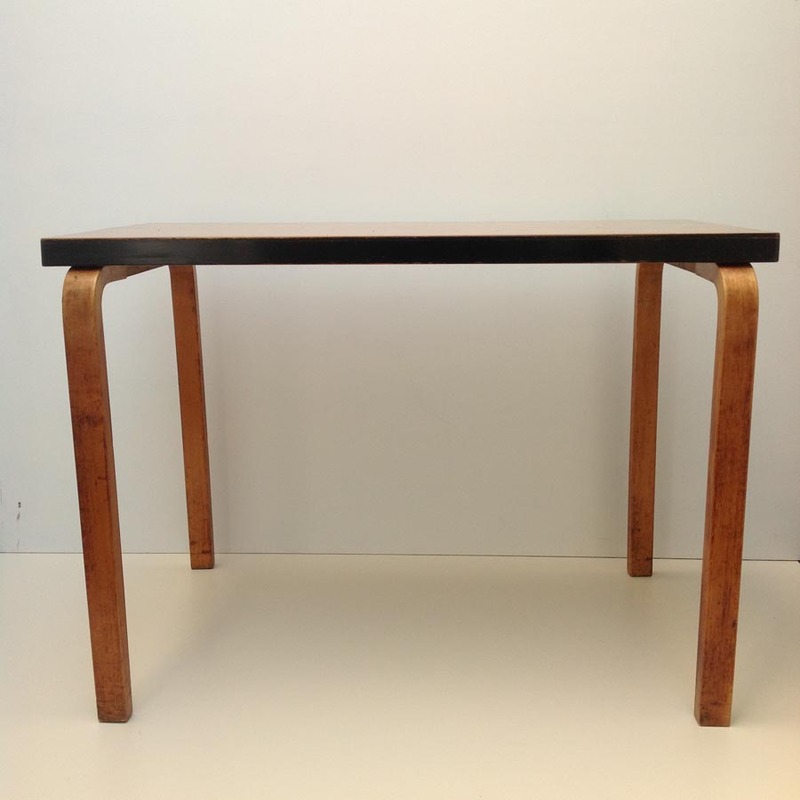 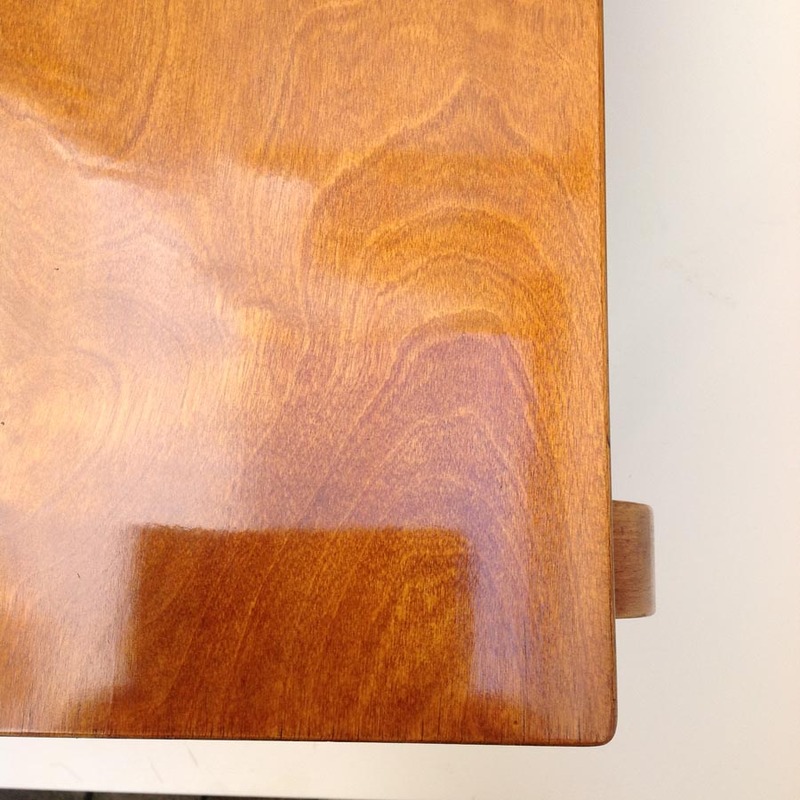 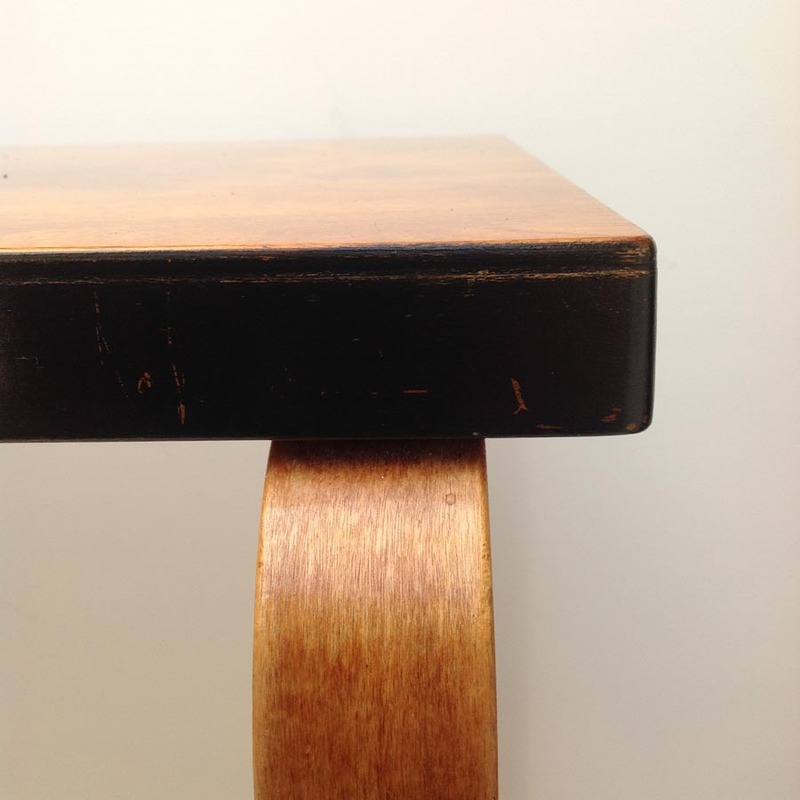 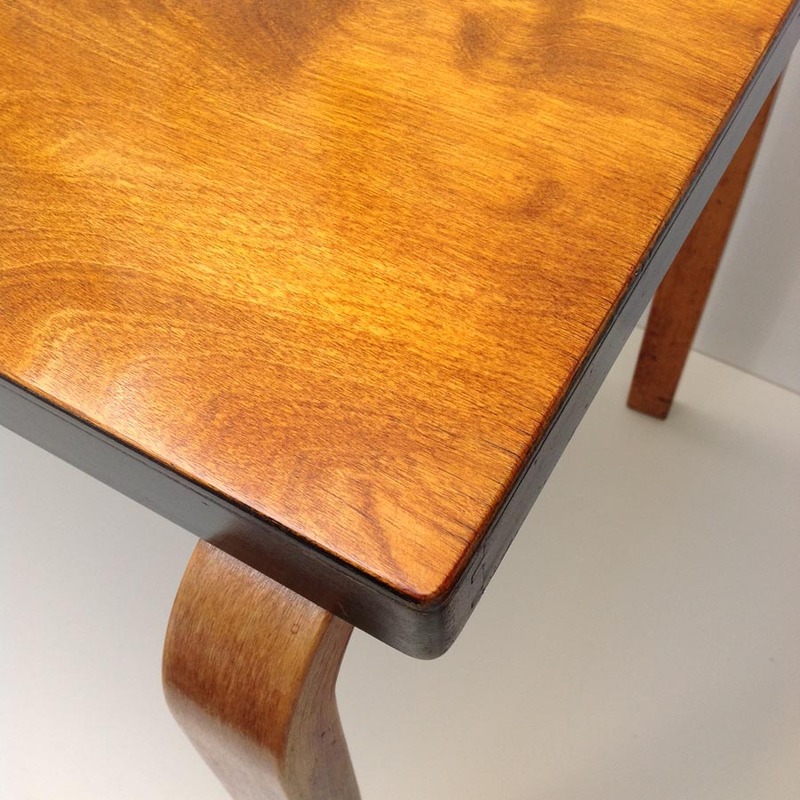 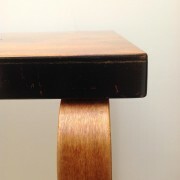 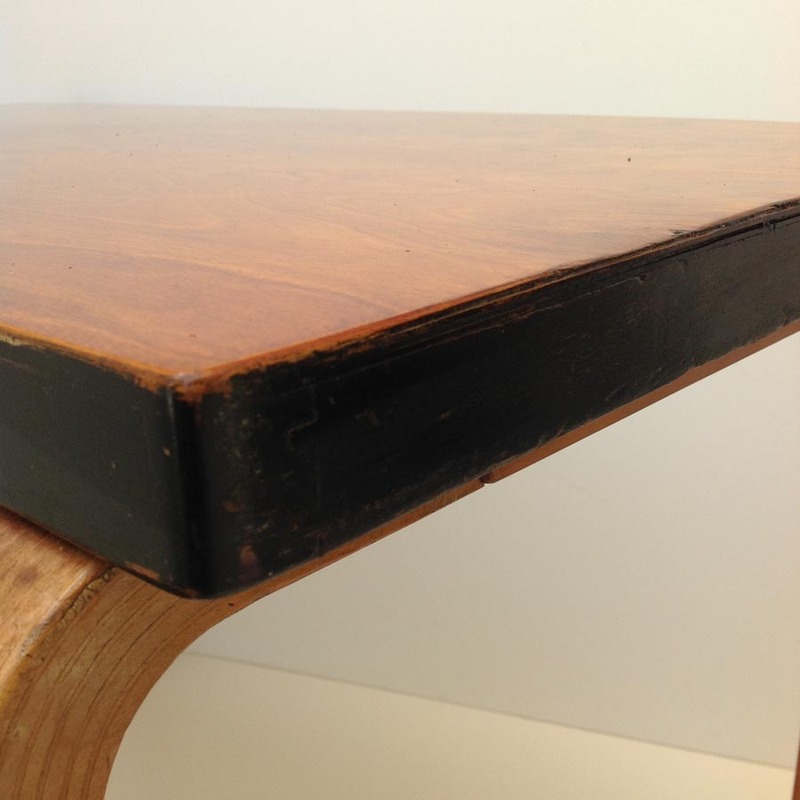 A striking example of Aalto’s famous ‘Bent-Knee’ table. 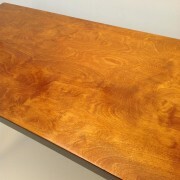 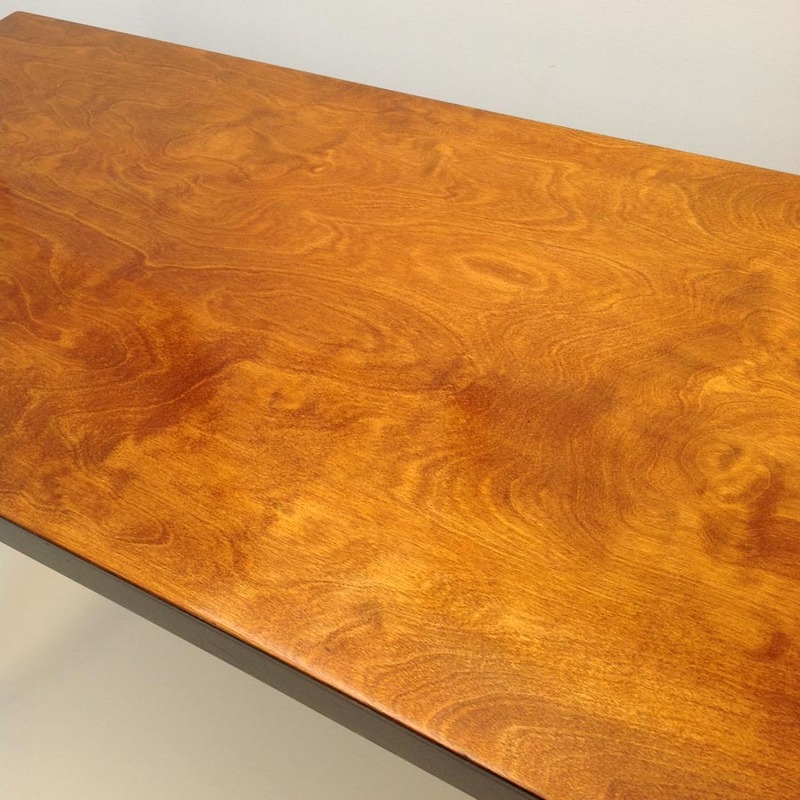 This ebonized edged model with high polished re-shellacked top surface would also make a great desk. Complete with ‘Finmar’ ivorine plaque.